Manchester City have spent more, but have they also spent more wisely? It’s the debate that’s doing the rounds today – have Manchester United really not had enough to spend in the transfer market compared to rivals Manchester City? In many ways, by discussing it at all we’re giving Jose Mourinho precisely what he wants – a distraction from the fact that his team just drew 2-2 with Burnley and faces being 15 points behind Pep Guardiola’s side by the end of this evening. Still, the Portuguese made a valid point in his quotes in the Manchester Evening News – Guardiola has spent more money and signed more players than Mourinho despite both managers moving to Manchester at the same time. That said, Pep really knows what he’s doing and has picked up one or two players that now look relative bargains, and still have their best years ahead of them. Here, we try our best at a complete power ranking of every player signed by both managers since last summer to determine if Mourinho really has a leg to stand on. According to BBC Sport, Leroy Sane cost Manchester City just £37million, which looks an absolute bargain now even if at the time it seemed quite a lot for an inexperienced youngster. The German’s influence at City has been superb and he’s undoubtedly one of the top attacking talents in Europe. 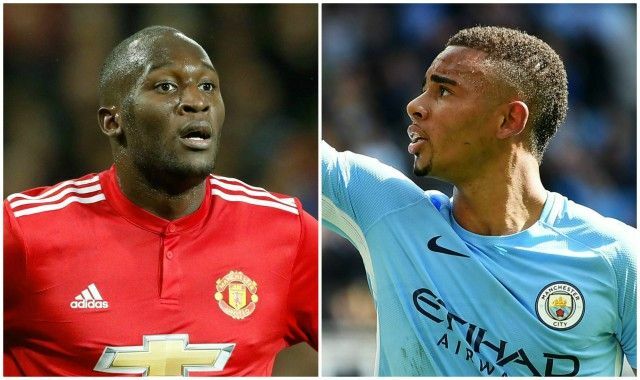 Another young player headed straight for the top, Gabriel Jesus has had no trouble settling in in the Premier League and looks to have a far higher ceiling than Romelu Lukaku despite arriving for a fraction of the cost at just £27m, according to BBC Sport. BBC Sport claim he was a world-record transfer at the time, costing £89m, and while he loses points for being so expensive, Paul Pogba has been a great buy for Manchester United and would surely get into this all-conquering City team. A top class goalkeeper, Ederson’s arrival at the Etihad Stadium this season has made a big difference to City’s fortunes after having to rely on the hapless Claudio Bravo last year. Some sniffed at this signing when it went through, but Kyle Walker was a key player for Tottenham and has only continued to improve at Manchester City in an area they badly needed to strengthen. Not everyone’s cup of tea and not in the best of form right now, but Romelu Lukaku comes next after a respectable 15 goals for United so far, even if you’d expect more from a £75m player (fee per BBC Sport). Took some time to get going, but John Stones is now an important player for City and just the kind of defender Guardiola likes to have in his teams. Past his best, but a fine signing on a free transfer last season. Zlatan Ibrahimovic had his doubters in England but settled quickly to finish as United’s top scorer on 28 goals, including a League Cup final brace. A solid defender, Eric Bailly was United’s first signing under Mourinho and would surely be higher if not for some injury problems derailing his progress. Would have been higher on his early-season form, but it’s fair to say Nemanja Matic has played a lot and looks a little jaded by this point, with his performances taking a little dip.